Can Termites Ruin Your Home? - A.C.T. Builders, LLC. There is nothing quite as relaxing as coming home from a long drive or commute and getting close to your house. The streets are familiar, you know the houses so well, and your car practically drives itself home. You may pass by properties with stunning trees. Others have lovely paint schemes you’ve been admiring. And then you see a residence with…a Giant Colorful Termite Tent of Shame? A home infested with termites! In my neighborhood? Just a short distance from my house? Could I be the next victim, my home shrouded with the Termite Tent of Many Colors? Before you start crawling around your attic or under your house looking for termites, let’s examine what they are, what they do, and how you know you have them. Most of us have heard of termites, but may have never seen one. They are certainly pests, but unlike mice and ants, they normally avoid notice. Termites are little insects that look like ants, but with a straight waist instead of the pinched waist found in ants. When they have wings during their reproductive stage, the wings are considerably larger than similarly shaped ant wings. While some ants also destroy wood, like carpenter ants, termites are generally the culprits when it comes to wood damage in Washington and Oregon. How can you know you have them? There are various ways people find out. One woman pulled a cardboard cutting mat out of a closet, only to find that termites had eaten half of it! Another woman looked down at her carpet and wondered why it appeared to be moving. While the carpet wasn’t moving, the swarming termites certainly were! They were heading through a sliding glass door in that room, to breed outside. Most homeowners are completely unaware there is a termite infestation until they have some work done on their house, or they put it on the market to sell and a termite inspection is required. Although it’s not fun to learn you have them, sooner is better, and cheaper. Left unchecked, these pests treat the wood in and under your home like an all-you-can-eat buffet. You cannot hear a termite eating wood, but they leave telltale signs that a homeowner can use to recognize their presence. Termite tubes are channels of dirt and cellulose that termites build to get around, sort of like little subway systems. These are visible around your foundation, in the attic and basement, around water pipes and under the house in crawl spaces. If you see these, break the tunnel and check back in a few days to see if it has been repaired. If so, you know you have an active termite problem in that area, and likely others. Termite cement is the term for the mud that termites use to patch up holes and cracks in wood and cement, the goal being to make their nests warmer and watertight. If you see mud or dirt where it doesn’t belong, especially in odd formations around your home’s foundation, a termite inspection is in order. Swarming is what the woman mentioned above saw on her carpet. In springtime, termites swarm, flying into the sky to breed. So, if you see something that looks like hundreds of flying ants, in your home or in your garden, call a pest control company to make sure they aren’t termites. One way to tell which is which is that swarming ants keep their wings, but swarming termites drop theirs after breeding. Wood that appears fine on the outside could be compromised on the inside by the voracious termite appetite for lumber. Damaged wood is the worst way to find out that you have a termite problem. Wood that appears fine on the outside could be compromised on the inside by the voracious termite appetite for lumber. Often a small home improvement project turns into a larger one because of termites. If you are attempting a DIY project in your house, and you discover damaged wood, don’t proceed as planned. 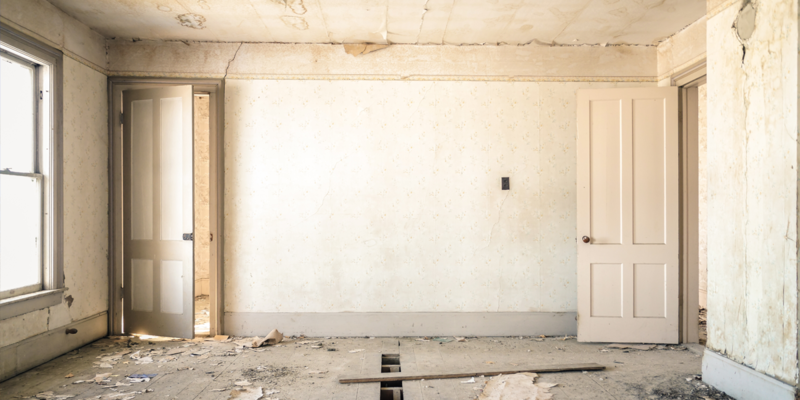 A professional contractor such as ACT Builders knows the difference between dry rot, water damage and termite damage, and has the experience to right the wrongs done to your house by nature. Know when to put down the tool belt and admit you need help. ACT Builders loves to make homes beautiful, either with custom new construction or home renovations both large and small. We are firmly rooted in the lovely Pacific Northwest, and we know what issues homeowners face here with our abundant rainfall and natural pests. If you discover termites or termite damage in your home, don’t panic! With professional expertise, soon they will be just a creepy crawly memory, and your home will be completely yours once again.